Phelps School was named for John S. Phelps, prominent governor and congressman from Springfield. The original Phelps School was located on the northeast corner of Cherry and Kimbrough Streets. 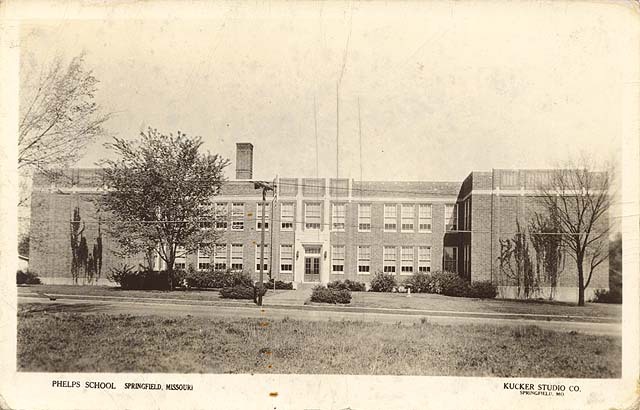 The 10-room building was abandoned by the public schools in 1931, which was the year the new Phelps Elementary School was built. The building currently stands at 934 South Kimbrough Avenue, near Grand Street. The last home of John Polk Campbell, founder of Springfield, was on one of the tracts of land condemned so the school could be built. Mrs. John P. McCammon, whose family lived in the historic house, was the granddaughter of Campbell. 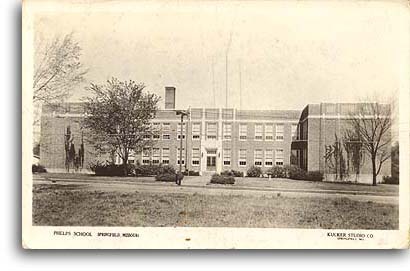 Phelps School was one of the few Springfield schools which changed locations after its founding. In 1984 Phelps Elementary was converted from a conventional elementary school to a center for the Springfield school district's gifted program. There was a lot of public outcry against changing the school, but the school board determined that it was the only school building that would fit the needs of the program. The gifted program is called WINGS, which stands for Working with the Individual Needs of Gifted Students. Gifted children from all over Springfield now attend classes one day per week at the Phelps Center for the Gifted.